Located on the picturesque Adriatic coast, in the charming historic town of Trogir only 5 Km from Split airport, Brown Beach House offers an unrivaled Mediterranean experience. Housed within a former tobacco shipping station (“Duhanka”), the hotel’s majestic facade exudes a sense of eternal style. As our name says, we are a house and we want our guests to feel like at home. The inspired design of our 42 spacious rooms is complemented with the modern amenities for holiday and business travelers. With its signature black & white tiles, our pool is the ultimate eye-catcher. Specially designed for style lovers, it still has all functional benefits of a luxurious pool: spacious (140 square meters) and heated. The lavish Spa & Wellness center is a private, green oasis designed to rejuvenate and recharge your body and soul. 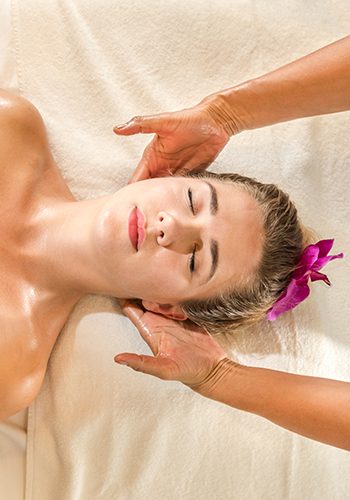 Enjoy luxurious skin treatments, invigorating massages or a professional manicure and pedicure. 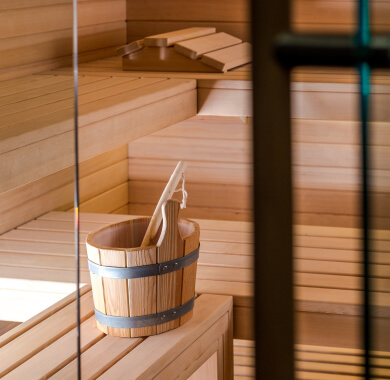 Relaxation continues in our sauna, Jacuzzi or authentic Turkish hammam, where we will gladly add an extra touch with supplementary refreshments. Fitness enthusiasts have access to our well-equipped gym. One of the finest restaurants in Split area, the prestigoous Cartina restaurant offers contemporary Mediterranean cuisine that reflects the authentic tastes of the region, overlooking the sea and mountains. 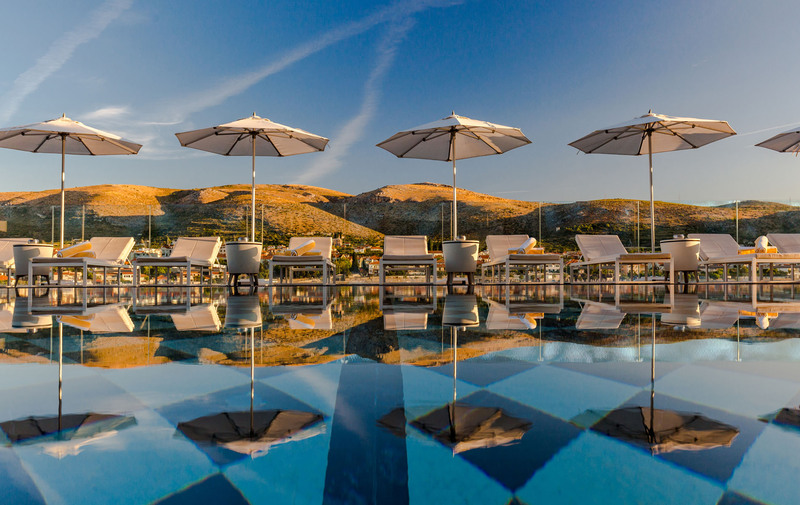 The best in Trogir area, the Brown Beach Club offers magnificent settings to spend your summer days in luxury. Breathe in the salt air and enjoy great cocktails, fresh snacks or salads and vibey beach music with the Mediterranean sun on your face. The House provides an exceptional setting for your special celebration or corporate events. Plan a luxurious wedding by the sea, business launch, seminar or anniversarie, and we will make sure your event is a stylish success. Don't give up on your personal style when vacationing with uour loved ones. The Brown Beach House offers various leisure options suitable for all ages, from cycling and sightseeing to our private Kids Club and aqua park, there is something here for everyone to enjoy. Our boutique hotel occupies a former 20th century tobacco warehouse. The building's original details, such as the structure's elegantly curved beams have been combined with hip, contemporary furnishings to create a stylized and cool atmosphere. Visit our Instagram page and get the party started! Spend your whole day in the bathrobe and slippers in our beautifull BBH Spa! Each treatments has to be booked in advance, at least one day before the wanted arrival. Price per room per day is 209,00€ , min stay 1 night.